Riyadh – Overall spending on information and communication technology (ICT) in Saudi Arabia is expected to reach $34.5 billion this year, up 1.0% on 2018. That’s according to the latest insights, trends, and predictions presented by International Data Corporation (IDC) last week as it hosted the 2019 edition of its annual IDC Directions event at The Ritz-Carlton, Riyadh. The forum brought together more than 100 of the Kingdom's most influential technology vendors, telecommunications operators, and IT service providers. Running under the theme ‘Multiplied Innovation: Scaling a Technology Revolution in Saudi Arabia’, the highly anticipated event explored the emerging trends and priorities that will shape ICT investments in 2019 and beyond. IDC's group vice president and regional managing director for the Middle East, Turkey, and Africa, Jyoti Lalchandani, opened the event by outlining IDC's chapters of innovation in the digital economy and contextualizing their relevance to the Kingdom’s ongoing digital transformation. He explained that cutting-edge technologies are increasingly forming the core of modernization efforts in the Kingdom and that a wave of pan-industry digitalization is set to hit organizations of all sizes, with the future of the ICT presenting pockets of opportunity like never before. This was followed by the event’s keynote presentation from Hamza Naqshbandi, IDC’s country manager for Saudi Arabia, during which he highlighted the critical role that digital transformation and innovation-accelerating technologies will play in shaping ICT investment decisions over the coming years. He stressed the vital role that technology will play in enabling some of the most important aspects of the Kingdom’s National Transformation Program (NTP) and its overarching Vision 2030 strategy. He also identified several areas of opportunity around software and IT services, with IDC anticipating these to be the fastest growing IT markets in Saudi Arabia over the coming years, expanding at five-year compound annual growth rates (CAGRs) of 7.9% and 6.0%, respectively, to reach combined spending of $6.2 billion in 2022. Naqshbandi explained that use cases around these advanced technology solutions are emerging across Saudi Arabia, reinforcing the significance of these technologies in achieving some of the key NTP and Vision 2030 goals. 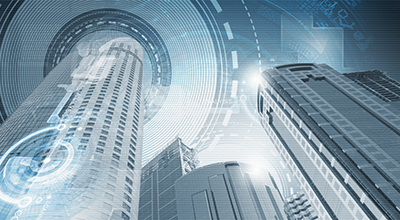 He also revealed IDC’s prediction that spending on IoT solutions in the Kingdom will touch $1.5 billion in 2019, while security solutions will attract total spending of more than $400 million. Spending on public cloud, meanwhile, is forecast to cross the $250 million mark in 2019. The evening's proceedings came to a close with an executive panel discussion featuring pioneering technology and business leaders from some of the leading ICT companies in Saudi Arabia, including Eng. Majed AlOtaibi, chief business and wholesale officer, Mobily; Dr. Khaled AlDhaher, country managing director, Accenture; Ziad Mortaja, CEO, Al Moammar Information Systems Company; and Salman Faqeeh, managing director, Cisco. IDC also had the pleasure of hosting the advisor to the Minister of Communications and Information Technology, Dr. Sulaiman Mirdad on the panel. The key focus was on the emerging priorities that are shaping the CxO growth agenda of tomorrow, with particular attention paid to the challenges that end-user organizations will encounter as they strive to strike an effective balance between traditional systems and next-generation technologies. For the Middle East, Turkey, and Africa region, IDC retains a coordinated network of offices in Riyadh, Nairobi, Lagos, Johannesburg, Cairo, and Istanbul, with a regional center in Dubai. Our coverage couples local insight with an international perspective to provide a comprehensive understanding of markets in these dynamic regions. Our market intelligence services are unparalleled in depth, consistency, scope, and accuracy. IDC Middle East, Africa, and Turkey currently fields over 130 analysts, consultants, and conference associates across the region. 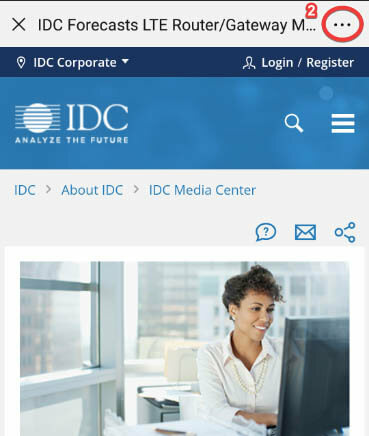 To learn more about IDC MEA, please visit www.idc.com/mea. 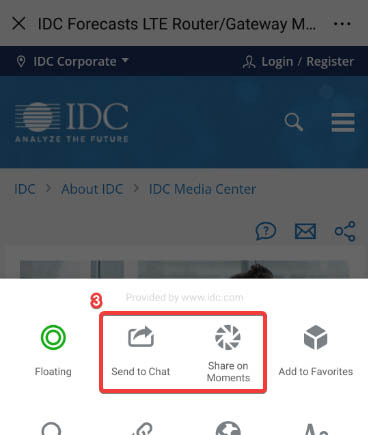 You can follow IDC MEA on Twitter at @IDCMEA.